At several deluxe resorts throughout Walt Disney World, you will find one of my most favorite things…Children’s Activity Centers! My almost 6 year old daughter, Zoe, loves going to the Centers, and has been to each one and begs to go back to play rather than going with us into the Parks. The Children Activity Centers are located at Disney’s Animal Kingdom Lodge, Disney’s Polynesian Resort, Disney’s Wilderness Lodge, Disney’s Beach Club Resort, and Disney’s Grand Floridian Resort and Spa. They provide childcare for kids from the ages of 3 to 12. If you have a child on the younger side, they must be fully potty trained to be able to attend the Centers. These Centers are highly themed areas with activities for children of all ages! Staffed by specially trained Cast Members, kids can create crafts, play video games, have snacks, and create their own fairy tales with costumes for boys and girls. When you walk in, all pangs of guilt will melt away once you realize just how much there is for them to do! While reservations aren’t always necessary for the Children’s Activity Centers, they are greatly encouraged especially during the busier times of the year. To make a reservation, call 407-WDW-DINE (407-939-3463). To secure your reservation you will need to give them a credit card and if you cancel your reservation without 24 hours notice you will be charged for the 2 hour minimum length of stay. When you arrive at the club, you will need to show photo identification and fill out a form that gives general information about your child, your contact information while you are out, you will need to give them a brief overview of where you will be going, and an emergency contact that isn’t with your party. This is also where you will let them know if there is any additional information about your child such as allergies, special needs, or note any personal items brought with them to the club. At this time, if you are going to be using the club for more than 2 hours you will be given choices for food and time for dinner, which is included in the hourly price of the club. You will be given a copy of all this information with the direct number to the club, which you will need to bring with you to pick up your child. While every club offers very similar activities and amenities, they are each special in their own way. 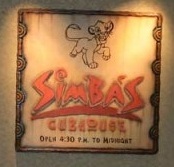 Simba’s Clubhouse at Disney’s Animal Kingdom Lodge is open daily from 4:30 pm to midnight. Simba’s Clubhouse décor is based on Disney’s The Lion King and is located on the first floor near the Uzima pool deck area. Simba’s Clubhouse costs $11.50 per hour, with a 2-hour minimum and a 10% discount for DVC members. While not really exceeding themed above murals, a really nice feature of this Center is that it has Savannah facing windows that are lower for kids to be able to see out of more easily. Also, it’s not the largest Center but they do a great job packing everything into the area they have. 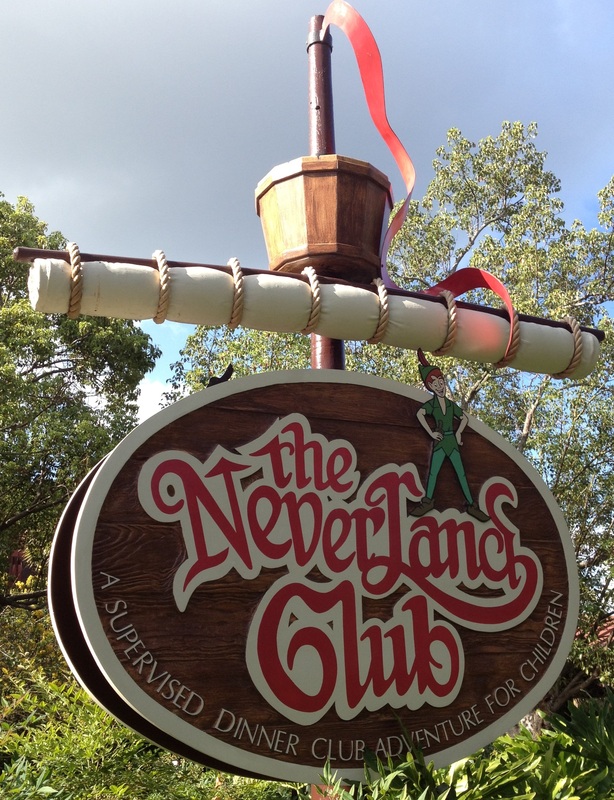 The Neverland Club at Disney’s Polynesian Resort, located near the Snack Isle and the bus stop across from the Great Ceremonial House, is open daily from 4:00 pm to midnight. The Neverland Club is $11.50 per hour, with a 2-hour minimum and while there is no DVC discount they are the only club to offer a Cast Member discount. This Center is the most highly themed of all of them! The registration ‘desk’ is one of the Darling’s beds, the main children’s entrance is through the window of the nursery, and inside you will find Skull Rock. The dress up area at the Neverland Club is amazing!!! Also, there is a very large movie viewing area that’s large enough for the kids to stretch out, scheduled dance and bubble parties, and a huge craft and coloring area. If your child is a pin trader, this is the only location that has its own pin board that usually has great pins from both Walt Disney World and Disneyland! Zoe always comes home with a HUGE bag full of crafts and goodies and a Mickey straw. This is usually the busiest Activity Center, so you will want to make sure that you have a reservation!!! Disney’s Wilderness Lodge has the Cub’s Den which is open daily from 4:30 pm to midnight, and is located outside of the main lobby near Wilderness Lodge Mercantile which makes it the hardest of the Centers to find. 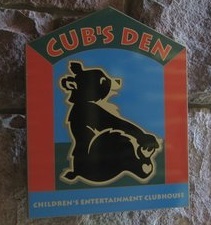 The Cub’s Den costs $11.50 per hour, with a 10% discount for DVC members. The décor has a wilderness theme, and it is so cute!!! While we often don’t use this Center, when we have Zoe has been in heaven! They do an amazing amount of crafts, and Zoe’s favorite was when they decorated Mickey Rice Krispie Treats for Halloween! Since this club is off the beaten path, it is usually extremely empty having a great child to Cast Member ratio. This is another club that you should be prepared to have a lot of take-aways from their time there. Zoe’s absolute favorite Activity Center is the Sandcastle Club, located inside of Disney’s Beach Club Resort near the lobby which is open daily from 4:30 pm to midnight. While the club isn’t the largest and the nautical-theme isn’t the best or most ornate, the Cast Members here make the Center amazing!!! Zoe absolutely has an amazing time every time we take her here for the night, and it is great because we get to have a date night at Epcot. This club always has a great time doing crafts and playing Just Dance with the Cast Members. It’s also a lot of fun to see all of the art that other kid’s have made on previous days. 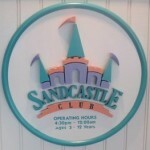 The Sandcastle Club costs $11.50 per hour and offers a 10% DVC discount. Also, Zoe is a huge fan of the Oreos you get before you leave for the night! The Mouseketeer Club at Disney’s Grand Floridian Resort and Spa is open daily from 4:30 pm to midnight, and you can find it near Gasparilla Grill and Games. The Mouseketeer Club costs $11.50 per hour and does not offer any discounts. I have to be honest when I say that this is our least favorite Center. There is no themed décor, the play area was exceeding small, and there really wasn’t any creative play area. This is also the only club that Zoe really does not want to go to. While it is really convenient if you are staying or dining at the Grand Floridian Resort and Spa, I strongly suggest walking over to the Neverland Club instead of using this one. If you are driving to the Children’s Activity Center, when you are checking your child into the club let the Cast Member know and they will issue you a parking pass that is good for up to 3 hours which is amazing because you don’t have to worry about having to park twice! If you don’t have a car and you want to utilize the clubs, going to a different resort can be a bit of a hike. 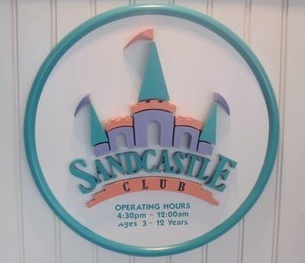 The easiest of the Centers to use from a park is the Sandcastle Club, because you can exit through the International Gateway while at Epcot and head over to Beach Club to drop off your children. But if you are using a Center that is more off the beaten track of Walt Disney World transportation you will want to make sure that you factor in enough time. Not a guest of a Walt Disney World Resort? Don’t worry! You can still utilize these Activity Centers! Since we are still relatively new to the area and don’t yet have a regular babysitter, the Children’s Activity Centers have been a great way to have a guilt-free date night!!! There are some general things that we always do when taking Zoe to one of these Centers. The first thing we do is try not to bring in any personal items, because usually in the mad rush to leave we forget them and quite honestly there are plenty of awesome toys at the Centers for her to play with. When she was younger, we did always bring a Ziploc bag with labeled full change of clothes in case she had an accident or spilled something all over her. We always try to tell her exactly what to expect from being in the club and have the Cast Members point out the restrooms right after check-in. And one of her favorite things is that she knows that this is HER night, so she chooses whatever she wants to eat and decides when she wants to arrive at the Activity Center. 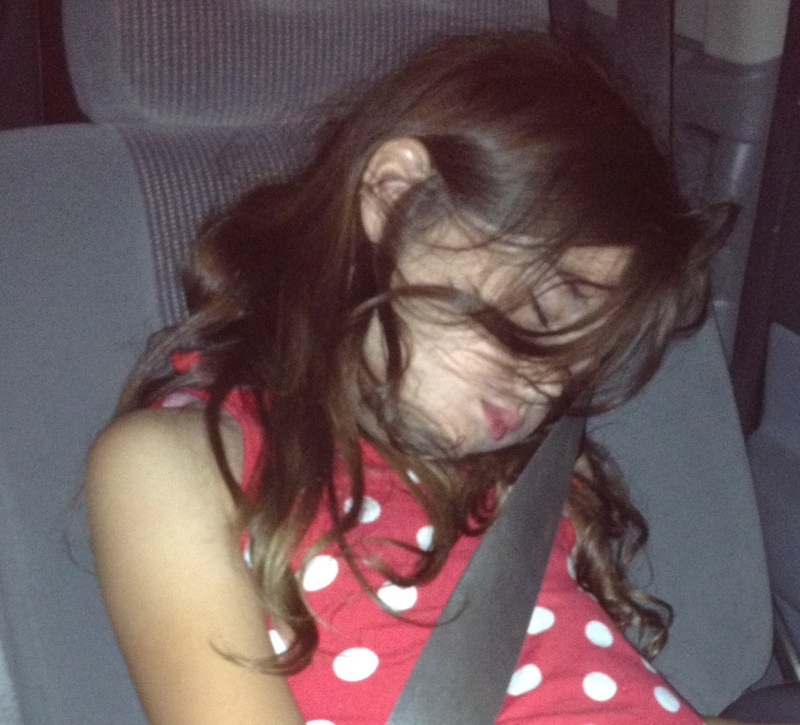 Zoe after a fun night at The Neverland Club! We absolutely cannot imagine not utilizing the Children’s Activity Centers!!! Not only does it allow us to get some much needed ‘adult time’, but it also allows Zoe to have some time away from us and a chance to socialize with other kids! So quit worrying that your child is going to hate you for going to a park without them, because they won’t….they’ll be too busy having fun at the Activity Center to care!!! Stay Out of the Parks! Going through the bedroom window, playing in the teepee and skull rock, video games (of course then they were pacman-esque, now it is Wii) in the ship. Movies and tv dinners. Good times! thanks for sharing that great vintage picture!! Not too vintage though, right? lol. 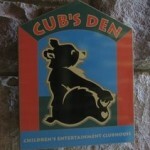 we used the cub’s den while staying at wilderness lodge last september. our 5 year old son loved it so much, he ended up going there three of our six nights. he begged to go back. in fact, one night he told us, “here’s the deal, mom. why don’t you and daddy go to dinner, and i’ll go to the kid’s club?” they sent him home each night with extras, and the staff could not have been nicer or more attentive. these centers are just an awesome, awesome bonus. highly recommended. we will be using the sandcastle club this september! I’m so glad you feel the same way about the Cub’s Den!!! 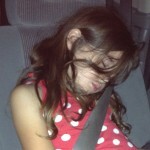 The Cub’s Den has the best CMs, and Zoe has loved every evening she has spent there! You will love the Sandcastle Club!!! The CMs there love doing activities with the kids, and now the problem we have is that Zoe wants to go there instead of Epcot!!! that was the thing with the cub’s den, our son just wanted to ditch us entirely after the first night and go there. 🙂 great article, btw, thanks! 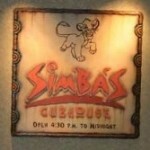 We used the Simba’s Clubhouse while visiting last fall during our Date Night dinner at Jiko! I’m pretty sure that’s where all the other kids parents were too. They had an AWESOME time and didn’t want to leave. next time we are definitely trying another club (maybe Polynesian?) for another date night! Great review. 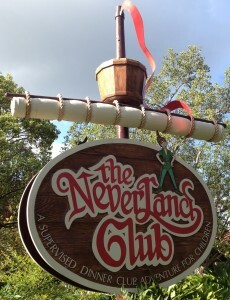 You really can’t go wrong with the Neverland Club at the Polynesian!!! We will be staying offsite. I’m assuming you can only use this if you are staying at a Disney resort? I was worried at first that it would require extra paperwork if you stayed offsite, but it is the exact same for on or off property! Also, there is no preference given to guests staying on or off property as far as reservations go either! I worked at Cub’s Den when I was part of the Disney College Program. It was fantastic! I can’t wait until my boys are old enough to go there (they are age 3 and 1 now). I never saw a child not have a good time and usually we saw the same kids again and again! While the clubs are amazing, it’s the cast members who work at the club that make it so special!!!! We took my son to the Neverland Club for an evening during our March trip. It was spring break, so the parks were packed, but the night he went to Neverland it was just him and 2 younger girls. Just be sure to note that if there’s a very small crowd, they don’t do any of the scheduled activities or even crafts. He spent the whole three hours he was there playing video games (which he was fine with) and didn’t have anything to bring with him (no extras like you all have mentioned or artwork). He enjoyed himself, and it was fine, but I was glad I didn’t pump him up with info about games and activities that didn’t happen. i am pretty sure they play it by ear when there are only a few kids and ask them what they want to do. our son was really interested in the video games, so after the first night, they let him do a lot of those and fewer puzzles and stuff. i think they let the kids pick the activities they want to do. That is good to know! When we have taken Zoe, there has always been a crowd of kids in there!!! I’m glad he had a good time though!!! This post is about the childrens activities.This childrens activity center is just super and full of entertinement.Nice post.